DanceAntonini is available for workshops, performances, site-specific performance installations, and setting choreographed or structured improvisational works. We are also available for events that may benefit from our outreach initiatives, provide performance venues, and commission our work. If you are sponsoring an event and would like to engage us in our craft, or know of an event we would be interested in participating, please contact us at Booking@DanceAntonini.org. DanceAntonini relies on support through loyal audience attendance to its performances and outreach initiatives. Artists and dance companies rely heavily on grants and private donations to pursue their artistic endeavors and outreach initiatives. Funding in the arts is at an all time low as tax laws and budget cuts have changed the nature major corporations contribute to the arts. Dance in DC has grown considerably in the past ten years in the number of dance companies and artists, as well as the number and quality of performance spaces. This means productions costs are higher and funding is sparse today for DC artists. Audience attendance, in addition to grants and arts subsidies, is critical to cover production costs for all arts programs. If you are interested in supporting dance, the arts, and this effort, you can help in serveral ways. Subscribe to our mailing list to be informed of performances, events and news on DanceAntonini at News@DanceAntonini.org. Be sure to provide your name, address, and/or email address. Join our social media presence by Liking our FanPage on or following us on . Donate time or resources to help offset our production and project development costs. 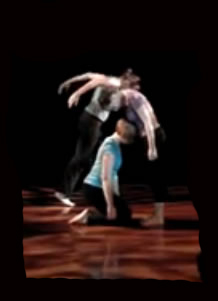 DanceAntonini is a non-profit group. All proceeds, fees, and admission sales are utilized for production and project expenses. Until we have our IRS Non-Profit Organization status donations are not tax deductable at this time but are still greatly appreciated. DanceAntonini has been produced by The Shakespeare Theater Company, The Friends of the Torpedo Factory Art Center, the Pyramid Atlantic Art Center and Space 7:10 at the Kefa Cafe, Joy of Motion Dance Center Dance Project, Anniversary, and In Concert series, DC International Improvisation Festival & World Arts Focus/Joe's Movement Emporium, Artomatic, University of Maryland's Clarice Smith Performing Arts Center, The Strathmore, and Arts on Foot in association with Capital Fringe and the generous support of the Downtown DC Buisness Improvement District, The Penn Quarter Neighborhood Association and the Douglas Development Corporation. DanceAntonini is also a CultureCapital.com particpant through the Dance/Metro DC partnership agreement with the Cultural Allicance of Greater Washington.